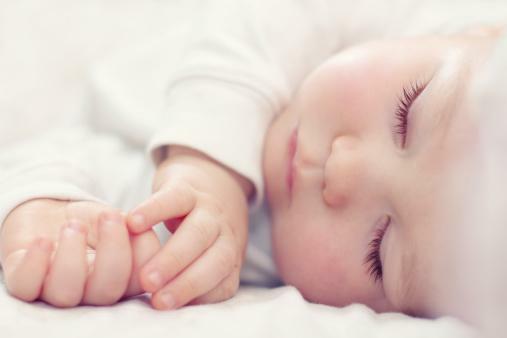 During the early development of a child, the sleep-wake cycle is the primary activity of the brain. Sleep is very important but the amount of sleep varies depending on age. The younger a child is, the more they need sleep. That’s why, babies take so much time sleeping and as they grow, you notice changes in their sleep cycle. To better understand your child’s changing need of sleep as they grow, here’s a background for common sleeping guidelines for babies aged 0-18 months. For newborns (0-2 months old), the typical amount of sleep is 16 to 18 hours divided into short period of hours, usually 2 to four hours intervals. Newborns still do not have the circadian rhythm or the internal biological clock that dictates an individual’s sleeping pattern. This is mainly the reason why newborns do not have daytime and nighttime cycle. They barely have sleeping patterns at all. For babies 4 to 11 months old, nighttime sleep can be 9 to 10 hours and nap time during day can be 4 to 5 hours of separate naps. As your baby grows, he will develop a pattern in his sleep and have more time of sleep at night. When your baby becomes a toddler, he will more likely follow a sleeping routine. Take note that as a parent, you should be the one to set this routine as toddlers tend to refuse taking naps. Your child’s early years are the perfect time for you to establish a bedtime routine. Once consistent, they will appreciate it and follow it easily. This will help them get relaxed and t simply make them go to sleep quickly. Your routine can be giving them a warm bath, putting on his pajamas, drinking milk, reading a bedtime story and any activity that you think can calm your child. Just be sure to end your ritual in your toddler’s bedroom. Another important thing is that, their bedroom should be comfortable and that they are at ease whenever they’re there. Make them learn that it’s not just for them to sleep but for them to consider it as his territory. This will help them gain confidence and feel secured in their room and will further help them fall asleep promptly. Music for bedtime shouldn’t boost energy. Choose the melodies that are mellow and rhythmic. You may also want to try singing them a song. Children will tend to listen when they know it is your voice speaking or even singing. You can play puzzle games with your toddler. Aside from enhancing their mental ability, they will also end up getting drowsy. Games that require energy like pillow fights can also help in encouraging your toddler’s sleep. After they get tired, the next thing you’ll know is that they’re already asleep. Try to be consistent in saying goodnight. This can stimulate them for better sleep. Let the word goodnight be the signal that it is time for them to sleep. Children at this young don’t like waking at night with dark room. This will disorient them and may also frighten them when they can’t see anything but black so it is better if you leave a little light on after you tuck him in. Try this program to help your little one get to sleep, and then you can get some too.